As you all know, Google and the Android team have set October 29 as the date to unveil all that is new in the Android world. Speculation has run high, but The Next Web claims to have confirmed all of the details, some of which is new, most of which isn’t. According to their source who was privy to a secret Google video that was being passed around, that details the event. So what are we expecting? Are you ready for a super high-resolution tablet from Samsung and Google? We saw EXIF data from a device called “Nexus 10” last week which we are assuming will end up as the device Google shows off on stage. The resolution of the display is supposed to be 2560×1600 with close to 300ppi, putting it a slight step above the new iPad. It sounds like a high-end tablet, but we’re wondering about the cost. The Nexus 7 was so interesting because of its $199 price tag – how can Samsung and Google make this a winner? Current rumors suggest that this tablet won’t be ready until the first quarter of next year. According to this latest rumor, Android 4.2 will be released and will also keep the name Jelly Bean, even though Google had at one time hoped to rename it to Key Lime Pie. In this new build, Google will introduce something alled “Content in the center,” which is some sort of a quick access to the Play store in the form of a widget. That doesn’t necessarily sound like anything new to us, but they will also include “Tablet Sharing,” which as you might expect, means multi-user logins. Panoramic photo taking could allow for both portrait and landscape action as well. You know all there is to know about the LG Nexus 4, right? The 1.5GHz quad-core Snapdragon S4 Pro processor, 2GB RAM, 4.7″ HD IPS+ display, 16GB internal storage, 8MP camera, and 2100mAh battery have all been confirmed by this secret video. No surprises here, but that doesn’t mean we aren’t ultra-excited for a new Nexus phone. A 3G (HSPA+) equipped Nexus 7 and a model that has 32GB of storage are also nothing new, as they have both been rumored for weeks. This new rumor claims that they are both on the way. 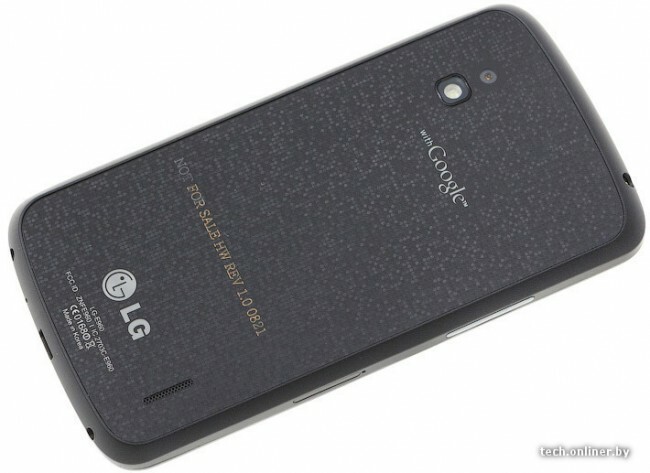 As with the LG Nexus 4, that doesn’t mean we aren’t excited for both. This is unconfirmed, but I want to predict Google allowing for some form of free or very cheap 3G data, similarly to what Amazon did with the new Kindle Fires. I could be completely wrong, but it seems odd to toss it in this late in the game, unless they have a major selling point to go with it. Then again, they certainly loved unlocked GSM phones, so why not do the same in a tablet? And there you have it, the purported schedule of events at next week’s Android shindig. We’ll be there on the scene, so if any of it is true, we’ll have it for you. Thankfully, Google is also live streaming it on YouTube for all to see and experience.